The waves of Lake Michigan themselves can make for a great photographic subject. Each is unique and ever changing. 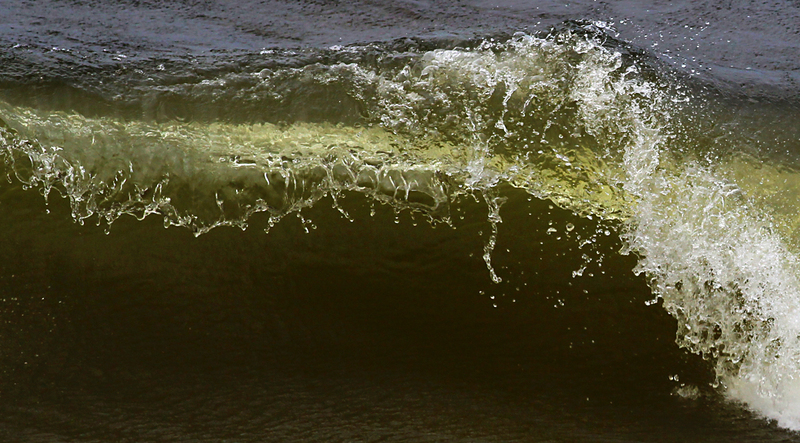 In this case I caught the sun backlighting the wave, revealing luminous shades of green at the wave’s peak. wow, quite a lake wave capture! Excellent capture of the water droplets “frozen” in mid-air. Spectacular – like green glass.